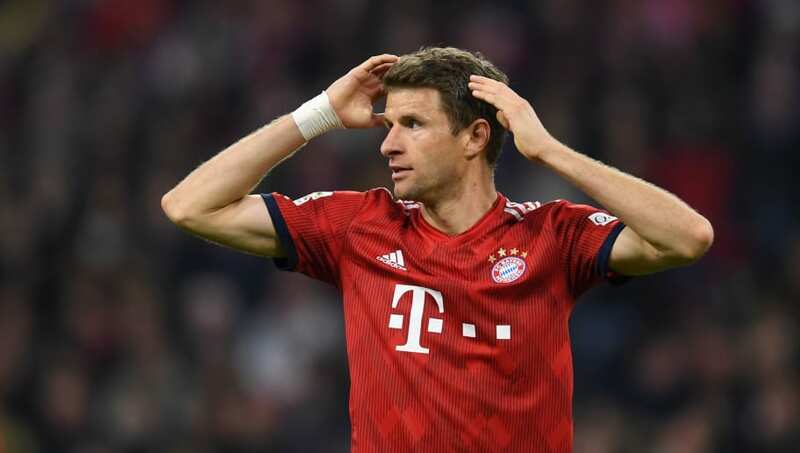 ​​Bayern Munich forward Thomas Muller has claimed that he would intentionally miss any penalty that was given wrongfully, after Fortuna Dusseldorf were given something similar in their Bundesliga game. Dusseldorf were losing 3-0 at the Merkur Spiel-Arena when the home team were awarded a late penalty late in the game after the ball hit Mats Hummels in the box, with VAR also being used to make the decision. Muller, however, said that if it was him he would have missed it intentionally because the penalty decision was not right. "Of course, the ball clearly hits the hand. I don't know how the rest of Germany sees it, but as a striker I would not want a penalty like that for us. I would deliberately miss it," he told Sky, according to ​Goal. The German striker was also aware that they need to win every game in the league for the rest of the season if they are to ensure they successfully defend their Bundesliga title. "We always have pressure and we have to deliver," he added. "It does not hurt us if we have a bit of pressure. This is how we have to go on. Dortmund are currently not brilliant, but they are delivering the results and that puts us under pressure. It remains to be seen if Bayern can keep their lead at the top of the table or if Borussia Dortmund will be able to take advantage of any points they might drop.